The year 2018 was a historic year for the Delhi Metro Rail Corporation (DMRC). This year, a record, 86.72 kilometres of new sections were opened by Delhi Metro. E-Rickshaws were also launched from some stations as part of efforts to enhance the last mile connectivity from the stations. 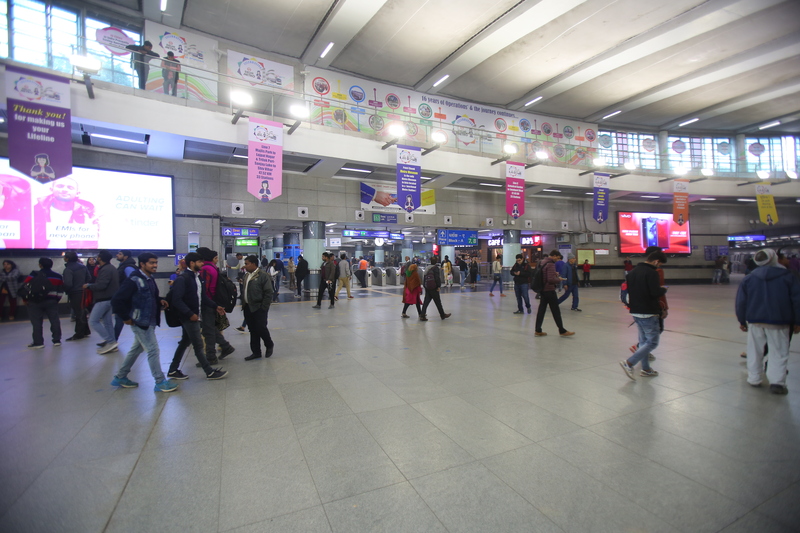 2nd January: The Delhi Metro started the test runs on the Noida – Greater Noida Corridor on 2nd January. The train was flagged off by Dr. Mangu Singh, Managing Director, DMRC and Mr. Alok Tandon, Managing Director, NMRC. 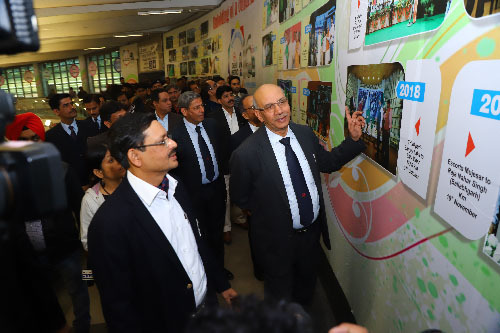 14th March: The Majlis Park – Durgabai Deshmukh South Campus Pink corridor of the Delhi Metro was formally inaugurated for passenger services by the Union Minister of State (Independent Charge) for Housing and Urban Affairs, Sh. Hardeep Singh Puri and the Chief Minister of Delhi, Sh. Arvind Kejriwal in the presence of Union Minister for Science and Technology, Earth Sciences, Environment, Forests and Climate Change, Dr. Harsh Vardhan and many senior dignitaries. 28th May: The 24.82 kilometre long Kalkaji Mandir – Janakpuri West Metro corridor was flagged off on 28th May, 2018 (Monday) by the Hon’ble Union Minister of State (Independent Charge), Ministry of Housing and Urban Affairs, Sh. Hardeep Singh Puri and the Hon’ble Chief Minister of Delhi, Sh. Arvind Kejriwal from the Nehru Enclave Metro station. 24th June: The 11.18 kilometre long City park (Bahadurgarh) – Mundka Metro corridor was flagged off via remote by the hon’ble Prime Minister, Sh. Narendra Modi on 24th June, 2018. Bahadurgarh became the third city in Haryana to be connected by the Delhi Metro. 3rd August: Hon’ble Lt. 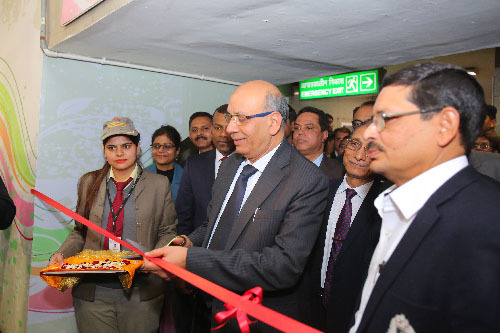 Governor of Delhi, Shri Anil Baijal flagged off a fleet of 100 e-rickshaws, called SmartE, from Dwarka Sec-10 Metro station to boost the last mile connectivity service in Dwarka sub-city for Metro commuters. These E-rickshaws ply from 8 Metro stations of Dwarka sub-city namely, Dwarka, Dwarka Sec-14, Sec-13, Sec-12, Sec-11, Sec-10, Sec-9 and Sec-8 from 6 AM to 11 PM. 6th August: The 8.10 kilometre long Durgabai Deshmukh South Campus – Lajpat Nagar Metro corridor was formally flagged off on 6thAugust for passenger operations by Sh. Hardeep Singh Puri, Union Minister of State (Independent Charge), Housing and Urban Affairs and Sh. Arvind Kejriwal, Chief Minister, National Capital Territory of Delhi in the presence of the Sh. Anant Kumar, the Union Minister for Chemicals & Fertilizers and Parliamentary Affairs. 16th September: The Delhi Metro introduced QR code based ticketing facility for travel on Airport Express Line from 16th September. With the introduction of this facility, commuter’s using Delhi Metro’s Airport Express Line can use the QR Code generated on their smart phones instead of smart cards or tokens to travel. 31st October: The 17.8 kilometre long Trilokpuri Sanjay Lake – Shiv Vihar Metro corridor was formally flagged off on 31st October for passenger operations by Sh. Hardeep Singh Puri, Union Minister of State (Independent Charge), Housing and Urban Affairs and Sh. Manish Sisodia, Deputy Chief Minister, National Capital Territory of Delhi. 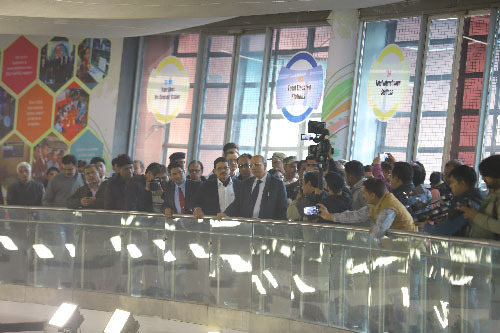 19th November: The 3.2 km long Raja Nahar Singh (Ballabhgarh) – Escorts Mujesar extension of the Kashmere Gate – Escorts Mujesar corridor (Violet Line) of Delhi Metro was formally flagged off via remote by the hon’ble Prime Minister of India, Sh. Narendra Modi on 19th November, 2018.